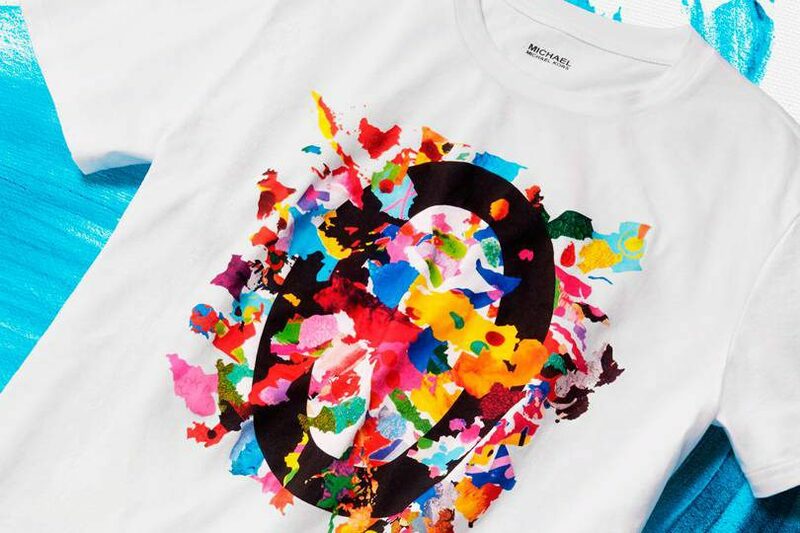 October 16 is World Food Day and Michael Kors has released a limited-edition t-shirt designed by multimedia artist Eli Sudbrack to help tackle world hunger. For Watch Hunger Stop’s fifth anniversary campaign, Kors partnered with the United Nations World Food Programme to raise funds for WFP’s school meals program. Last year, WFP provided school meals to more than 18 million children in 60 countries, providing them with nutrition to help them fulfill their potential. For every T-shirt sold, Kors will donate 100 meals to children in need through the World Food Programme, which means that 100 percent of the profits go to help feed hungry children. Kors will also donate 100 additional meals to WFP if customers “wear it and share it” by snapping a selfie in their Watch Hunger Stop T-shirt and posting it online with the hashtag #watchhungerstop. Michael Kors’ limited-edition Watch Hunger Stop t-shirts are available for purchase in store and online.